June 11, 2016 - Like us now! 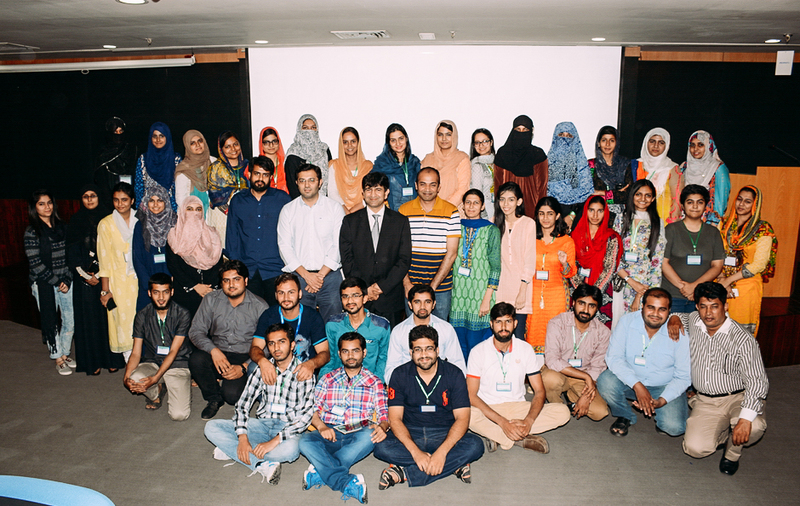 The first ever Django Girls event took place on the 28th of May at the Information Technology University (ITU) in Lahore. It was co-organized by Ammara Laeeq, Zahid Irfan, and Waqas Younas of QC Technologies. It was the first community event in Pakistan to be sponsored by GitHub. 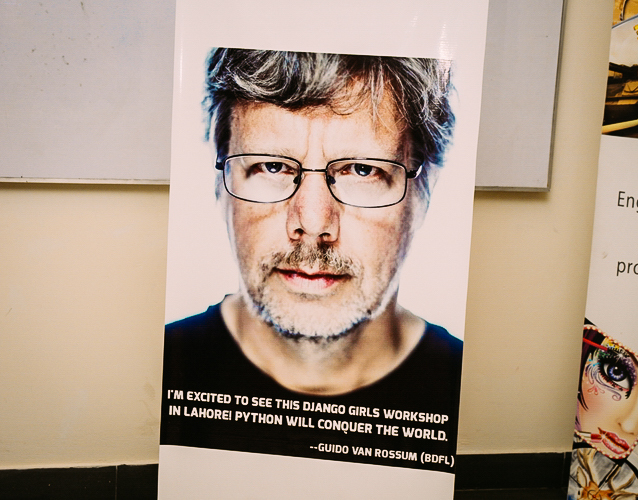 The creator of Python Guido van Rossum (BDFL) even tweeted his support! A total of 200 applications were received out of which 33 females were invited to attend the workshop. Out of the 33, 29 females turned up for the workshop. Women from many fields and diverse backgrounds showed up. The attendees included students from various universities studying math, computer sciences, business studies, chemistry, literature, and even psychology! Some of the attendees were non-technical and were already running their own startups. 12 coaches who were already established in the IT industry volunteered as coaches for the workshop. Out of these, 11 were male and 1 was female. A list of the coaches/mentors can be viewed here. The event was held in the prestigious Main Tower Lab of ITU. It started off at 9:00 AM in the morning and wrapped up around 6:00 PM in the evening. The participants were eager to learn web development. They relayed their enthusiasm to the organizers and also encouraged them to arrange follow-up events as well. Participants studying IT regarded the workshop as a great opportunity to learn Python/Django as these technologies are rarely taught in their universities. The workshop concluded with a distribution ceremony where the CEO of QC Technologies, Mr Zahid Irfan, distributed certificates and giveaways to participants. There were also certificates, shields and giveaways to coaches. Shield and giveaways were also distributed to representatives of sponsors present at that time. The tremendous support from QC Technologies in terms of finances and resources helped in making this event a success.